Trainer Rod Northam will saddle up After All That in a history-making quest to win the inaugural running of The Kosciuszko at Randwick. Kosciuszko contender After All That isn't the best horse Rod Northam has trained but he is the gamest. 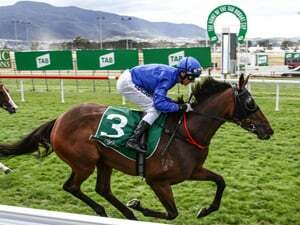 And the Hunter-based horseman is hoping that counts for plenty when After All That takes on 11 rivals in Saturday's $1.3 million The Kosciuszko, a race restricted to country-trained horses. Northam had success with sprinters Big Money and Voodoo Lad early in their respective careers and produced Odyssey Moon for a Group One placing in the 2015 ATC Sires' Produce Stakes. He says what After All That lacks in class he makes up for in courage. "This guy probably doesn't have the quality of some of those horses but he's got more determination than all of them put together, he tries really hard," Northam said. After All That won the corresponding race on last year's Everest program when it was known as the Anniversary Highway Handicap and run over 1300m. He returned in the autumn to claim the Country Cup at Scone and it was around this time Northam began to hear whispers about a rich spring race and contacted Racing NSW officials for verification. "They said they couldn't tell me anything but if he was their horse they'd put him in the paddock and get him ready for a race on Everest day," Northam said. "So that's basically what I did." The Kosciuszko, being run for the first time, isn't an average race. Members of the public buy tickets in a sweepstake, 12 are drawn out and the winners negotiate a deal to secure a horse for their slot. After All That was selected by a group calling themselves the Strzelecki syndicate, a nod to explorer Pawel Strzelecki who climbed and named Mount Kosciuszko. The sprinter caught their attention when he charged home for a first-up fourth to Ball Of Muscle in The Shorts last month and Northam admitted the subsequent negotiation process was unique. "It has been an experience. I was pretty nervous for the 24 hours after the race when I did the deal." he said. "We got through that and I've ended up with some really great blokes. We've already had a few beers together and I'm sure we'll be having a few more." After All That is a $7.50 chance with the Jenny Graham-trained Victorem promoted to favouritism after Care To Think was withdrawn on Wednesday because of an elevated temperature. Care To Think's spot has been taken by Victorem's stablemate Awesome Pluck.